Body work can help the healing process enormously. A good massage, healing or therapeutic touch can tip the balance toward release, relaxation, pain reduction and result in enjoying life much more. Healing Touch is an energy-based approach to health and healing endorsed by the American Holistic Nurses Association. Its roots lie in the ancient laying-on-of-hands to heal. It is the conscious process of sensing human energy and directing it to bring harmony and balance to the individual to facilitate healing. Human beings have many layers of energy that can become unbalanced or blocked from lifestyle, life experiences or disease. Healing Touch can cause old experiences or hurts to surface and be released. 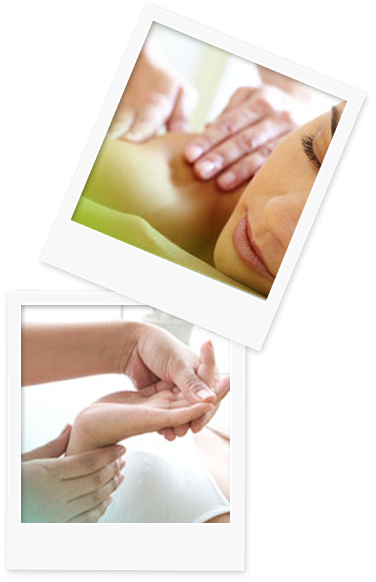 Therapeutic Touch is a modern interpretation of several ancient healing practices. The therapist assesses where the energy field is weak or congested, using her hands to adjust and balance the energy fields, to help the body heal itself. Treatments often release tension, reduce anxiety and stress, promote relaxation, and relieve pain.